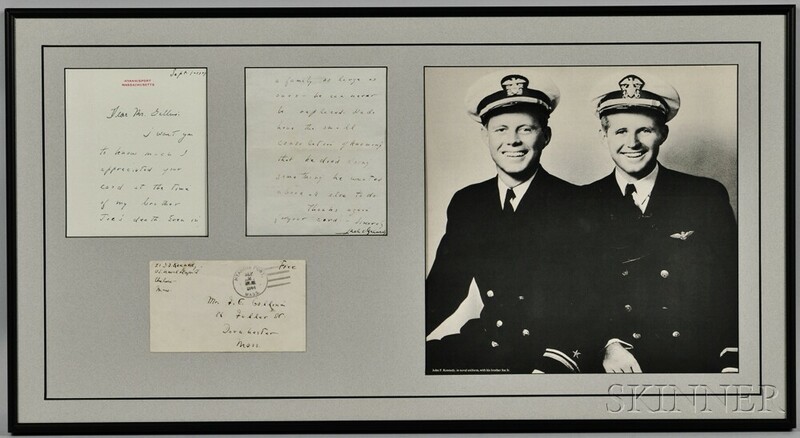 Kennedy, John Fitzgerald (1917-1963) Autograph Letter Signed, Hyannisport, Massachusetts, 1 September 1944. 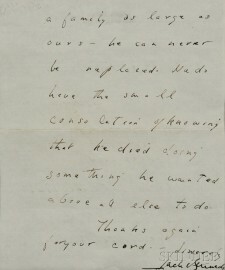 Kennedy, John Fitzgerald (1917-1963) Autograph Letter Signed, Hyannisport, Massachusetts, 1 September 1944. 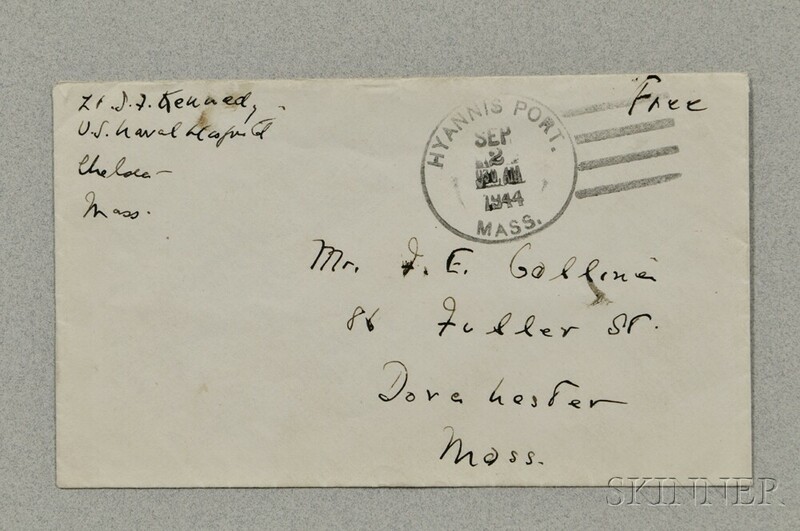 Kennedy, John Fitzgerald (1917-1963) Autograph Letter Signed, Hyannisport, Massachusetts, 1 September 1944. 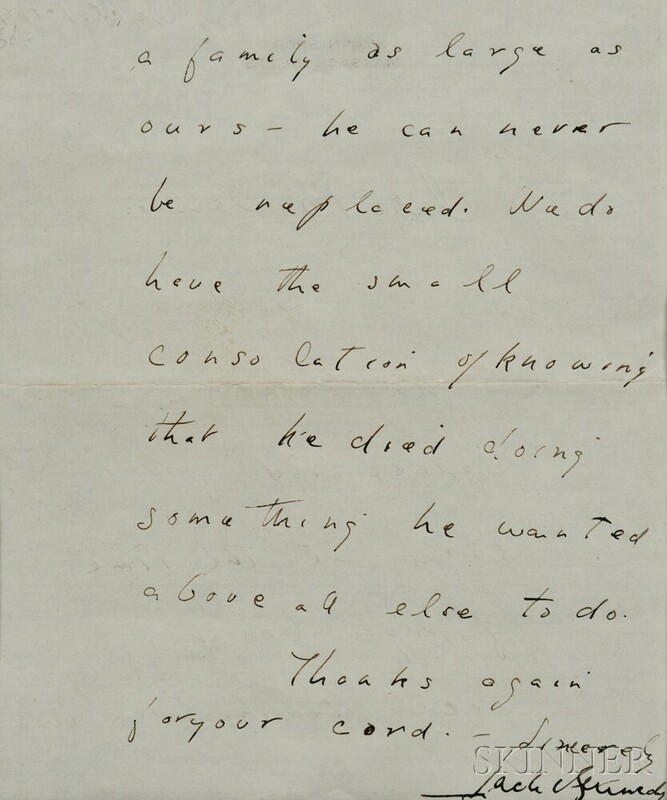 Kennedy, John Fitzgerald (1917-1963) Autograph Letter Signed, Hyannisport, Massachusetts, 1 September 1944. 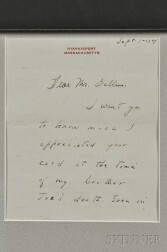 Single leaf of Hyannisport letter paper, inscribed on two pages. 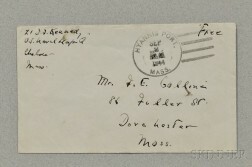 To Francis E. Galline of Dorchester, thanking him for the card sent in sympathy on the death of Joseph P. Kennedy Jr. (1915-1944); with the original holograph envelope, postmark, and free frank. Some old folds, signs of handling, matted and framed with a portrait of the smiling brothers in their naval uniforms, 5 1/2 x 6 1/2 in. 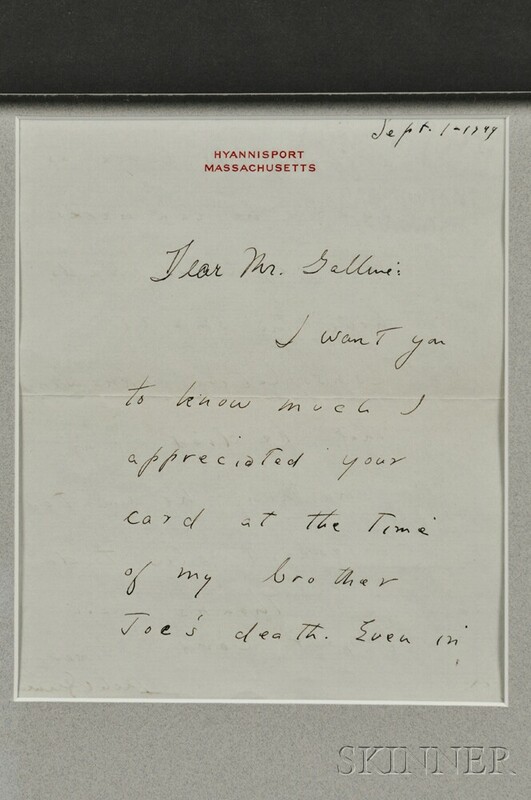 "Dear Mr. Galline, I want you to know [how] much I appreciated your card at the time of my brother Joe's death. 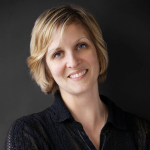 Even in a family as large as ours -- he can never be replaced. We do have the small consolation of knowing that he died doing something he wanted above all else to do. Thanks again for your card. --Sincerely Jack Kennedy."